An Iranian journalist and top media aide to Iran's President Hassan Rouhani defected while covering the nuclear talks in Switzerland and has accused the United States' team of acting on Iran's behalf in the negotiations. ate last week, saying he no longer saw any point in his profession in a country whose government told him what to write, the U.K.'s Telegraph reported. 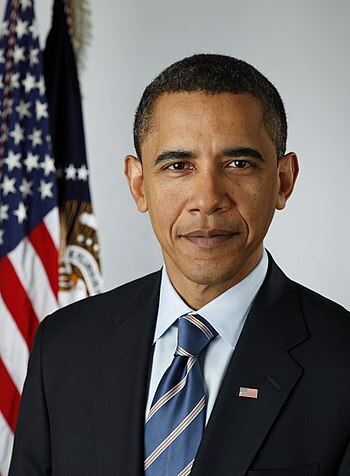 Vote: Do You Support Obama's Gun Control Plan? Vote Here Now. "The U.S. negotiating team are mainly there to speak on Iran’s behalf with other members of the P5+1 countries and convince them of a deal," he said. He told the station that a number of people attending the talks on Iran's side are reported to be journalists, but that "their main job is to make sure that all the news fed back to Iran goes through their channels." BALTIMORE, April 4, 2008, 2008 /PRNewswire/ -- Newly published data by Dr. J. Barthelow Classen in The Open Endocrinology Journal shows a 50% reduction of type 2 diabetes occurred in Japanese children following the discontinuation of a single vaccine, a vaccine to prevent tuberculosis. This decline occurred at a time when there is a global epidemic of type 2 diabetes and metabolic syndrome, which includes obesity, altered blood cholesterol levels, high blood pressure, and increased blood glucose resulting from insulin resistance. Now that she’s no longer on the CBS payroll, this pit bull is off the leash and tearing flesh off the behinds of senior media and government officials. In her new memoir/exposé “Stonewalled: My Fight for Truth Against the Forces of Obstruction, Intimidation, and Harassment in Obama’s Washington” (Harper), Attkisson unloads on her colleagues in big-time TV news for their cowardice and cheerleading for the Obama administration while unmasking the corruption, misdirection and outright lying of today’s Washington political machine. Saudi Arabia will not rule out building or acquiring nuclear weapons, the country’s ambassador to the United States has indicated. Asked whether Saudi Arabia would ever build nuclear weapons in an interview with US news channel CNN, Adel Al-Jubeir said the subject was “not something we would discuss publicly”. The ambassador’s reticence to rule out a military nuclear programme may reignite concerns that the autocratic monarchy has its eye on a nuclear arsenal. Obama Declassifies Israel Nuke Program is actually an act of war! "the hand that held the dagger has struck it into the back of its neighbor." -From FDR Speech! Yes, Obama, like the fascists of 1940 (see speech quote above) has stabbed our ally Israel in the back, doing something no president dared to do in 50 years! Anti-Semite Obama, clearly supports the Muslim terrorist, an act of treason- and a declaration of war against Israel. Will this no balls Republican congress ever start an impeachment bill and save the world from WORLD WAR III with the murder of billions of people! These are the stakes! Hillary's Mail Gate -Updated- Valerie Jarrett behind the revelation? You've known for years now about the ever-growing presence of license plate scanners that record and store the realtime movements of essentially all vehicles on public roadways where scanners are in use —either fixed-position scanners recording passersby on various roads, or roving scanners attached to police cars and other vehicles. Perhaps you've even pondered the privacy implications of having all this information stored in a publicly accessible database, and wondered just how much personal information might be gleaned from these public records. After analyzing this data with a custom-built visualization tool, Ars can definitively demonstrate the data's revelatory potential. Anyone in possession of enough data can often—but not always—make educated guesses about a target’s home or workplace, particularly when someone’s movements are consistent (as with a regular commute). JERUSALEM—With Washington cozying up to Tehran as nuclear negotiations approach countdown stage, Arab media in the region are lashing out at the United States for jilting its Arab allies. Unlike Israelis, who are focused on the danger of nuclear weapons in the hands of a regime calling for their country’s elimination, citizens of Arab states are concerned about Iran’s imperial ambitions. The nuclear threat is seen as a tool to further those ambitions rather than a direct threat. Much as we'd like to emulate our NASCAR heroes, breaking the speed limit often comes at a price. Ford is hoping to prevent accidents and speeding tickets by introducing cars that can see what the speed limit is and preventing heavy-footed motorists from driving any faster. Ford's Intelligent Speed Limiter tech will first appear on the new Ford S-Max that's launching in Europe that could just change the way that we drive. Could Lois Lerner still take a look at your tax returns on IRS computers? It sounds preposterous, but a new watchdog report saysformer IRS employees still have access to IRS computer systems long after they have no official business with the information. The report is by the U.S. Government Accountability Office, an independent, nonpartisan agency that works for Congress. The GAO investigates how the federal government spends taxpayer dollars. In the case of IRS security, the report says not well. (TELEGRAPH) — When future generations look back on the global-warming scare of the past 30 years, nothing will shock them more than the extent to which the official temperature records – on which the entire panic ultimately rested – were systematically “adjusted” to show the Earth as having warmed much more than the actual data justified. Candidly, I don’t have the time right now to be writing an article that most in the West would ignore or repudiate. I wrote this piece, however, for the staff of WND with whom I have consulted over the years. WND is one of the few news organizations in America that is interested in truth, and unconcerned with the consequences of reporting it. I admire that, and so should you. Few news organizations remain that are not just inundating us with misinformation and propaganda. But I digress. We are at the precipice of war, and this is a call to action. While it might not come tomorrow, the threat does grow by the day as conflict between the largest and most powerful nation states becomes inevitable, driven by the impending implosion of the empire of debt accumulated by Western democracies, and by the yearning of Russia and China (and their surrogates) to escape the constraints of almost 70 years of American hegemony. I am not talking about another one-sided skirmish in the desert, but rather a real war, where satellites fall from the sky, ships sink, supply chains are disrupted and there is a loss of life not seen since the last century; a war of such a magnitude that few Westerners alive today can comprehend it. Such a war will alter the world as we know it. And, reading the tea leaves, it seems there is little we could do now to stop it. At this stage, all that is missing is the spark that ignites the inferno. It might come tomorrow, it might delay a while longer. We can prepare, but preparation takes years and years, and requires a threshold level of certainty that the threat exists, that it merits attention, that it demands action. Why do our kids’ novels and movies (“Hunger Games,” “Divergent”) assume a game-changing war, but writers and talking heads on our mainstream news sites and channels serve up mindless banter about the Kardashians, the climate, Twitter trends and gender engineering? Even thinking Americans have traded serious conversation about geopolitics for Facebook page updates, thereby providing every intelligence organization on the planet the opportunity to further profile them. We are sinking further and further into blind ignorance about how the world really works, even as we strengthen the powers threatening us. U.S. Admiral Warns: We Are Losing Control In The Pacific. China Subs Outnumber the U.S. Fleet. WHEN SLAVES ESCAPED - STEALING A CONFEDERATE SHIP! 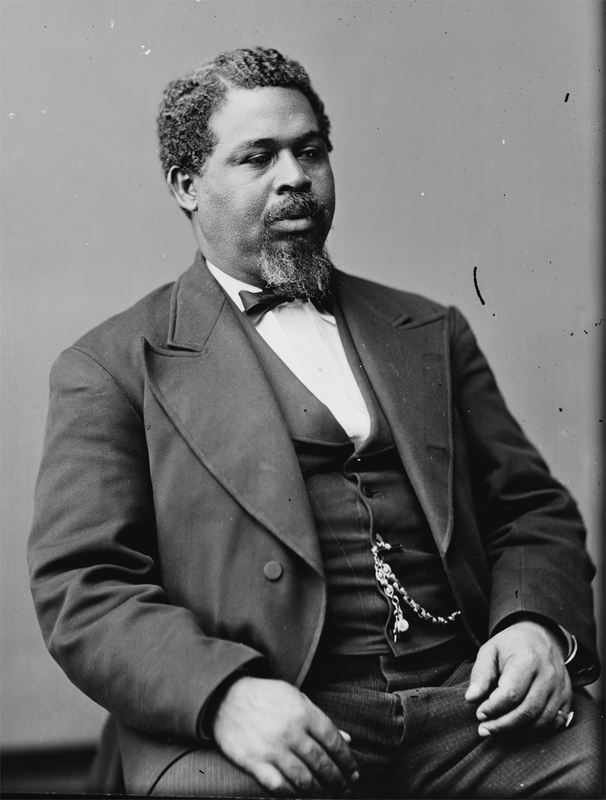 Robert Smalls, S.C. M.C. Born in Beaufort, SC, April 1839. (Library of Congress, prints and photographs division). Pimp My Ride lied? According to Insiders YES! The United States of Europe prophecy being fulfilled! His mother was widowed twice, resulting in him being raised by his grandmother. He was sent off to grammar school and later went to Trinity College, Cambridge, in 1661. He became a mathematician and a natural philosopher, discovering the laws of universal gravitation and formulating the three laws of motion, which aided in advancement of the discipline of dynamics. Newton was a discoverer of calculus and helped develop it into a comprehensive branch of mathematics. During the plague of 1665-66, Newton moved to Woolsthorp, Lincolnshire. He was honored to occupy the Lucasian Chair of Mathematics in 1669 and was elected Fellow of the Royal Society in 1672. Newton was given the position of Master of the Min in 1699 and in 1701 entered Parliament. He constructed one of the first practical reflecting telescopes. Using a prism, Newton demonstrated that a beam of light contained all the colors of the rainbow. He laid the foundation for the great law of energy conservation and developed the particle theory of light propagation. In 1703, Sir Issac Newton became the president of the Royal Society and served in that position until his death. Newton was cited in “Memoirs of the Life, Writings, and Discoveries of Sir Isaac Newton” by Sir David Brewster (Edinburgh, Thomas Constable and Co., 1855, Vol. II, 354): “God made and governs the world invisibly, and has commanded us to love and worship him, and no other God; to honor our parents and masters, and love our neighbours as ourselves; and to be temperate, just, and peaceable, and to be merciful even to brute beasts. (ADVENTIST REVIEW) — A 15-year-old rugby player who risked his sports dreams by taking a stand for the Sabbath will still get to play in England’s main rugby stadium after the match’s date was unexpectedly moved to a weekday. Eddisson Munoz, an up-and-coming rugby player in Wakefield, a city 160 miles (260 kilometers) northwest of London, faced a dilemma after studying the Bible for a year with an Adventist church elder and his wife and deciding that he wanted to get baptized in May. Rugby and Sabbath worship can come into conflict with each other because matches are often scheduled for Saturdays. Moreover, Munoz’s team at the Queen Elizabeth Grammar School played exceptionally well this season and had a shot at reaching the national school finals, which are played at London’s 82,000-seat Twickenham Stadium, known as the home of England rugby. The finals have been held on Saturdays in previous years. JERUSALEM (AP) - Israeli Prime Minister Benjamin Netanyahu has declared victory after a tight national election appeared to give him the upper hand in forming the country's next coalition government. In a statement released on Twitter, Netanyahu says that "against all odds" his Likud party and the nationalist camp secured a "great victory." Initial exit polls showed Netanyahu's Likud Party deadlocked with the center-left Zionist Union. But the results indicated that Netanyahu will have an easier time cobbling together a majority coalition with hard-line and religious allies. Netanyahu said he had already begun to call potential partners. REVELATION'S 6TH TRUMPET ABOUT TO SOUND? The sixth angel sounded his trumpet, and I heard a voice coming from the four horns of the golden altar that is before God. 14 It said to the sixth angel who had the trumpet, “Release the four angels 15 And the four angels who had been kept ready for this very hour and day and month and year were released16 The number of the mounted troops was twice ten thousand times ten thousand. I heard their number. The rise of the Islamic State was horrifying, unexpected, shocking. Christians around the country are noticing contemporary events are lining up with prophecy, especially the terrifying warning of a great war to come. 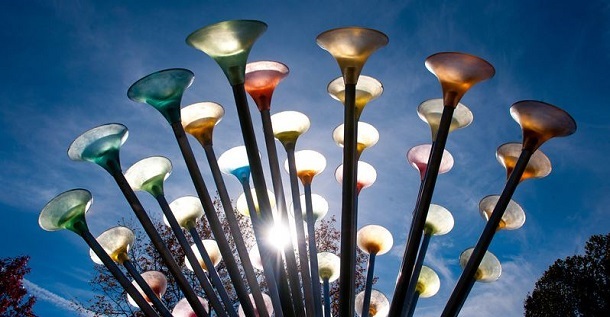 Author Carl Gallups says Christians need to face the possibility that the “trumpet days” of Revelation already are here, and the sixth trumpet may be about to sound. Gallups details his views in “Final Warning: Understanding the Trumpet Days of Revelation.” Even a brief introduction to his work reveals startling correlations between Bible prophecy and contemporary reality. It could happen. 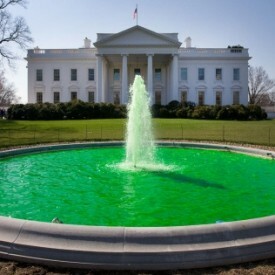 It could happen even on St. Patrick’s Day, when everyone is wearing green and everyone, it seems, is Irish. Would you have a good answer? The true story of this remarkable 5th century hero has been mixed with so much legend and myth that it’s difficult to sort out the fact from the fiction. In honor of St. Patrick’s Day, the WND Superstore is making available a limited quantity of “St. Patrick,” a remarkable biography of this extraordinary historical figure, along with a documentary on the evangelist’s life. Most of what we think we know about Patrick turns out to be wrong. He wasn’t Irish, but English. He never drove snakes out of Ireland – because the island never had any snakes. Kidnapped as a boy, Patrick was a slave for six years in pagan, druid Ireland. He miraculously escaped, only to dream years later that he must go back. By his death in 461, Patrick had founded 300 churches, baptized 120,000 believers, and his followers re-evangelized Europe. 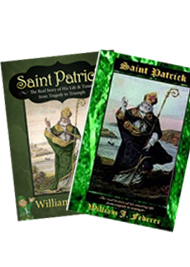 This St. Patrick’s Day will have new meaning for all who read this great book and documentary by William Federer. It has been said that Patrick is one of the few figures in recorded history directly responsible for the completely non-violent religious conversion of an entire nation. Wouldn’t you like to know the rest of the story? Wouldn’t your children? Order the “St. Patrick” book and DVD bundle today at greatly reduced price – or buy the book and DVD separately. More and more Americans are finding out what we have known now for several years. Cops are part of the "Big Government" that have made YOU the enemy! Wake up - Cops are not what they used to be. A routine traffic stop is now under review after an elderly couple was interrogated about drug smuggling on the side of a Georgia road. Charles Tharp, 69, and his wife were passing through Walton County after visiting their grandchild in Texas when a sheriff’s deputy pulled them over. “It just seemed a little unusual because we’re not speeding and we’re always careful drivers,” Tharp recalled to WGCL-TV. It’s a remarkable irony: the same U.S. president whose administration has gone to great lengths to monitor journalists, whistleblowers and the public, claims to be oddly in the dark regarding basic information on some of his biggest controversies. Here are eight instances in which President Obama said he heard it on the news—or way after-the-fact—just like ordinary Americans. The chickens pictured on the egg producer Chino Valley Ranchers' Simply Organic site look pretty happy. And from the description of their digs, it sounds like they'd have good reason to be: "When you walk into the chicken houses and you see all the birds scratching around in the dirt, running around, flapping their wings and hear the soft clucking from each of them, you can feel their contentment," the copy below the little fuzzballs reads. "It is the way nature intended." 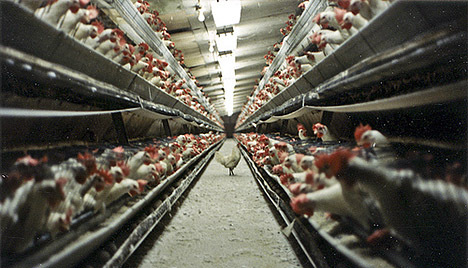 An industrial henhouse jam-packed with 36,000 birds, on the other hand, is probably not "the way nature intended." But that is exactly what investigators from the organic food advocacy group Cornucopia Institute found when they visited a Wisconsin henhouse that supplies Chino Valley Ranchers with organic eggs. And Chino Valley isn't alone. A recent Cornucopia investigation revealed that conditions at many facilities that produce organic eggs are often just as crowded and industrial as those at conventional egg farms. And although US organic standards require outdoor access for laying hens, Cornucopia found that at many organic farms, "outdoors" often consists of nothing more than a tiny concrete screen porch adjoining the tenement-like henhouse. Which Organic Egg Brands Are Factory Farms in Disguise?